A natural language is a language spoken and understood by all normal adult members of a speech community. It stands in contrast to specialized languages, both spoken and written, used within sub-groups of this community to perform specialized tasks, though shared in varying degrees with members outside these sub-groups. 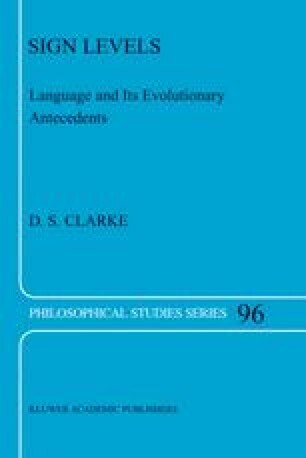 Both natural and specialized languages have lexical items whose meaning is specified within the semantic fields just discussed. In addition, they have the resources for combining sentences into blocks of discourse as sequences of sentences about some common topic or related topics. A discourse block can vary in length from a short conversational exchange or haiku poem to a novel or many-volume history of a nation. For discourse formation we resort to the use of linking words to form from sentences a variety of types of combinations.